Lake Superior is the largest freshwater lake in the world (surface area). Ships from all around the planet travel through the great lakes. These bodies of waters are known for rough waters and many islands along the way. Lighthouses guided the ships all the way to the far western ports of Duluth and Superior, the most inland point on the St. Lawrence Seaway and the most inland ports in the world. The Lake Superior Circle Tour runs from Duluth, MN, on the west end, crossing into Canada to come back in the U.S. to Sault St. Marie, MI on the East Side and turning back west into Wisconsin and Superior. Our journey starts in Duluth with the first lighthouse you’ll encounter. 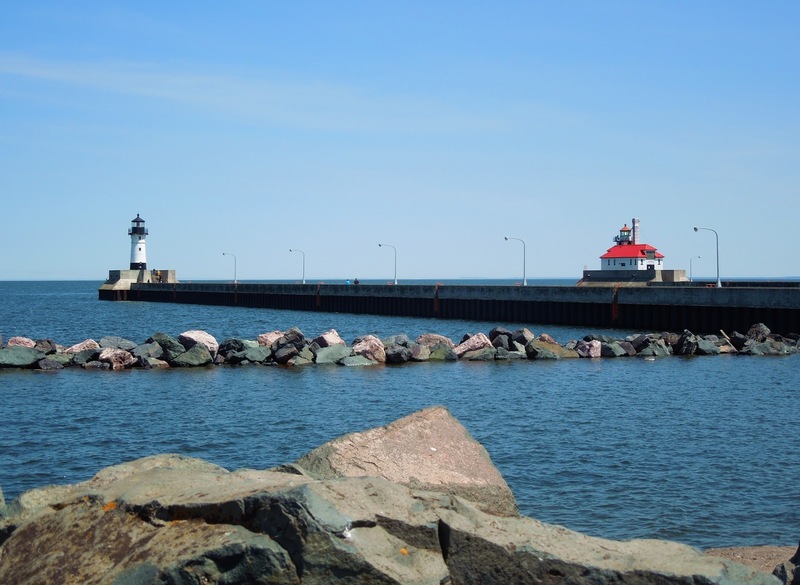 Duluth Harbor North Pier – Located at the end of the North Breakwater next to Canal Park. The History: Construction started in 1909 to replace the temporary light constructed in 1908 by the Lake Carrier’s Association. This lighthouse was the third to be completed in 1910 to guide the vessels into the harbor. Today: The light is still fully operated. You can walk up to the tower but access is not permitted. My notes: This is an iconic starter point to your journey on Lake Superior North Shore. Canal Park is full of restaurants, shops and places to stay. Take the scenic drive to Duluth Enger Park & Tower to admire the lake and the harbor from above. Continue the trip driving north on Minnesota State Highway 61 to the little town of Two Harbors, MN. This is where you will find a peculiar little B&B in Minnesota’s oldest operational lighthouse on the lake. 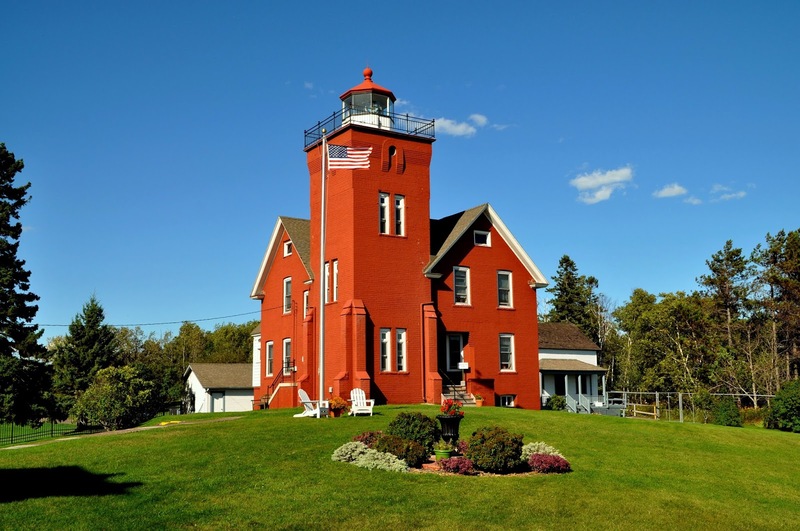 The History: The Two Harbors Light Station is the oldest operating lighthouse in the State of Minnesota. The construction began in 1891 and completed in 1892. The first lighting happened on April 14, 1892. The Light Station was built at the request of the Vessel Owners Association and the U.S. Light House Service to provide safe passage into the Agate Bay Harbor. 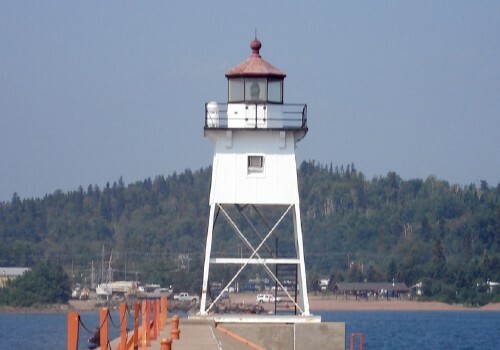 Today: The Two Harbors Light Station is still designated as an active aid to navigation. The lighthouse features four rooms each with views of the lake and is also a museum. The building is listed on the National Register of Historic Places. 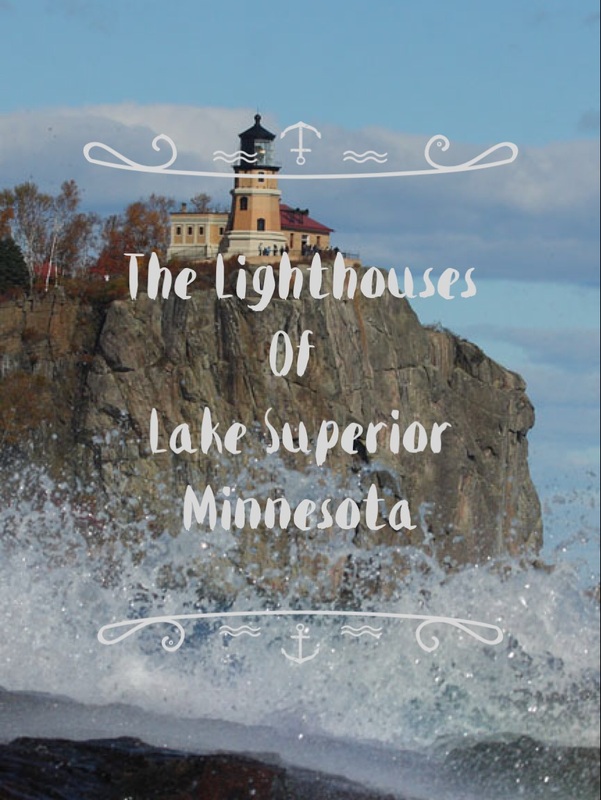 A few miles up the road you will encounter one of the most photographed Lighthouse of Lake Superior. The History: The Lighthouse was completed in 1910 after the large loss of ships during the famous Mataafa Storm of 1905 in which 29 ships were lost. 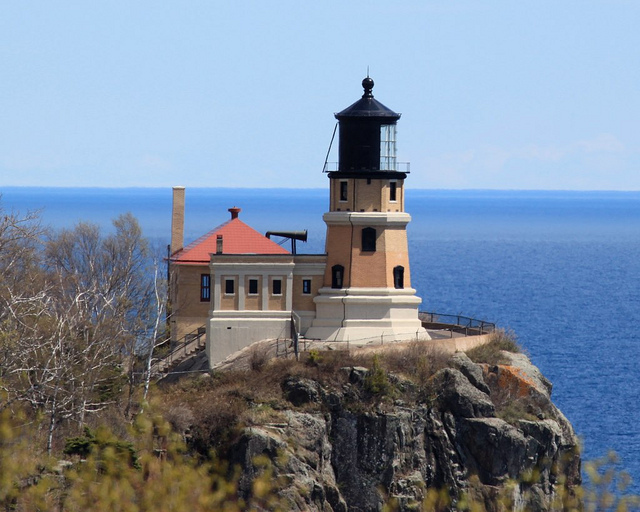 The U.S. Coast Guards retired the lighthouse in 1969, and the Minnesota Historical Society now operates part of the Split Rock Lighthouse State Park. Today: The site includes the original tower and lens, the fog signal building, the oil house, and the three keepers’ houses. On June 30, 2011, the lighthouse was designated as a National Historic Landmark. My notes: If you are traveling on the North Shore, Split Rock Lighthouse State Park is a must see. The view of lake Superior is spectacular. The park offers easy walking trails along the water. Camping is also available in the park but it gets busy during peak summer months. Advance reservation for campsites is strongly recommended. Resume the drive on the North Shore and a few miles from the Canadian border lays the town of Grand Marais. The History: It took close to 30 years for legislature in Minnesota to appropriate the funds to build a lighthouse in Grand Marais. Materials finally landed in July 1885 and the lighthouse, which consisted of a square, pyramidal, wooden structure surmounted by an octagonal lantern, was finished on August 21st of that same year. The breakwater light was automated in 1937. Today: The keepers dwelling now host the County Historical Society. My Notes: The pier leading to the lighthouse is a great place for a leisurely walk as well as admiring the Grand Marais Harbor, and the picturesque town waterfront. Stay tune, in the months to come our journey will take us on the south side of the lake to Wisconsin, Michigan, and then into Ontario where our journey will end.